It’s ridiculously easy and only takes ten minutes to prepare. 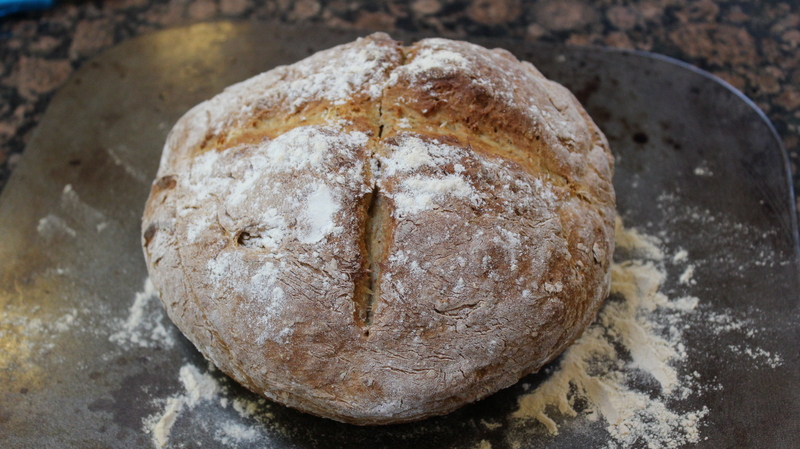 As I prefer wholemeal bread I tailored the recipe to add wholemeal flour but if you prefer white soda bread just leave the wholemeal out and use 500g plain flour. Wrap in tea towl straight soon after taking it out of the oven to keep it fresh. 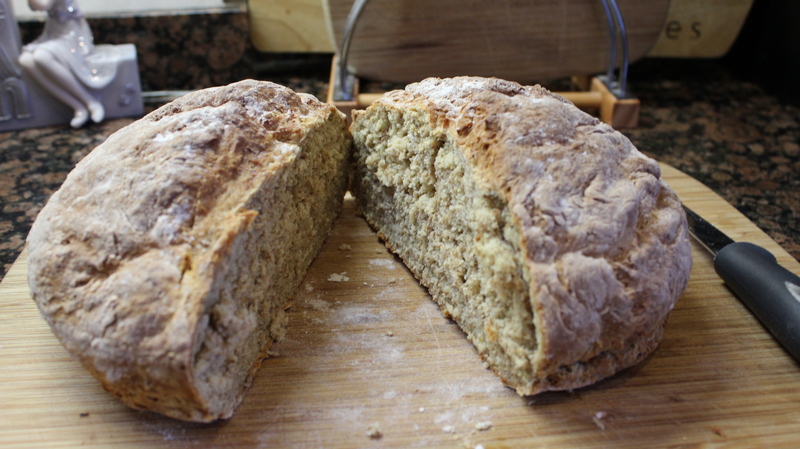 Absolutely lovely with soup, as a sandwich or simply with some butter and a cup of tea. It’s a recipe you can do so frequently. I’d recommend eating it within two days as that’s when it’s lovely and fresh.